Bringing Your Dog to Work is far From Barking Mad! In today’s pet friendly climate, dogs appear to be being made welcome in more ways than ever. Fancy a coffee with your pooch in tow? – Just visit a dog friendly café. Want to book a holiday? – You will be astounded at the sheer volume of accommodation that now welcomes our four legged friends. There are limits however, or are there? Some forward thinking companies, such as Google, are now allowing employees to bring sociable dogs to work in their head-quarters all year round, a sentiment endorsed by local dog sitters, Barking Mad Huddersfield & Halifax whose dogs Bertie, Basil, Ollie, Oscar & Daisy May plays a real role in their business. For everyone else, whose employers might not normally be so dog friendly, the UK’s fifth official Bring Your Dog to Work Day will take place on Friday 22nd June, encouraging businesses to welcome employees’ canine companions into the workplace just for one day, to raise money for charity. A study published by the International Journal of Workplace Health Management (2010) adds weight to this argument, by concluding that the presence of dogs in the work place even had a positive effect on those employees who didn’t have a dog of their own. As you might expect, 5* rated dog sitters, Barking Mad Huddersfield & Halifax are a huge advocate and official sponsor of the special day. Owner/operator, Mark Abbott says: “We love the idea of being able to take your four legged best friend to work with you. 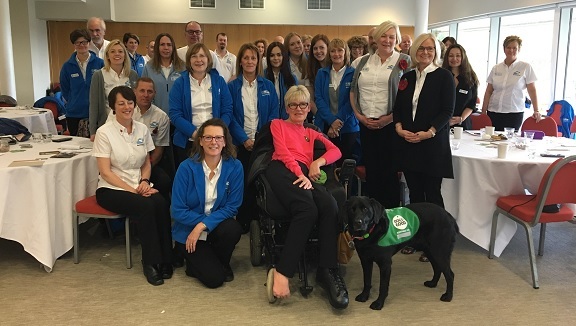 Bring Your Dog to Work Day is a fantastic way to raise funds for animal charities and promote the positive effects of spending time with dogs. Barking Mad is part of the Franchise Brands plc group of companies and is the UK’s favourite dog holiday company, as verified by TrustPilot. Contact Barking Mad at www.barkingmad.uk.com to find your dog’s home from home today. Local dog sitters, Barking Mad Huddersfield & Halifax, are asking fellow dog lovers to join them in helping to change lives. 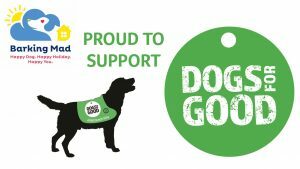 The dog holiday specialists have officially partnered with Dogs for Good, a life transforming charity which creates partnerships between people living with disability and specially trained assistance dogs. 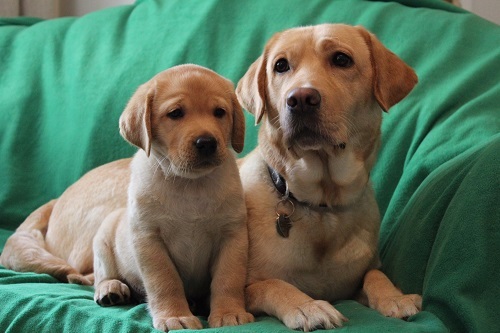 Barking Mad Huddersfield & Halifax’s ultimate wish would be to raise enough money to fund the training of a Dogs for Good puppy and would really appreciate your help! Throughout 2018 they plan to hold fundraising events including and would love to hear from you if you would like to get involved. Mark Abbott can be contacted on 01484 599420 and you can also visit https://www.barkingmad.uk.com/franchisees/huddersfield-halifax/ to find out more. 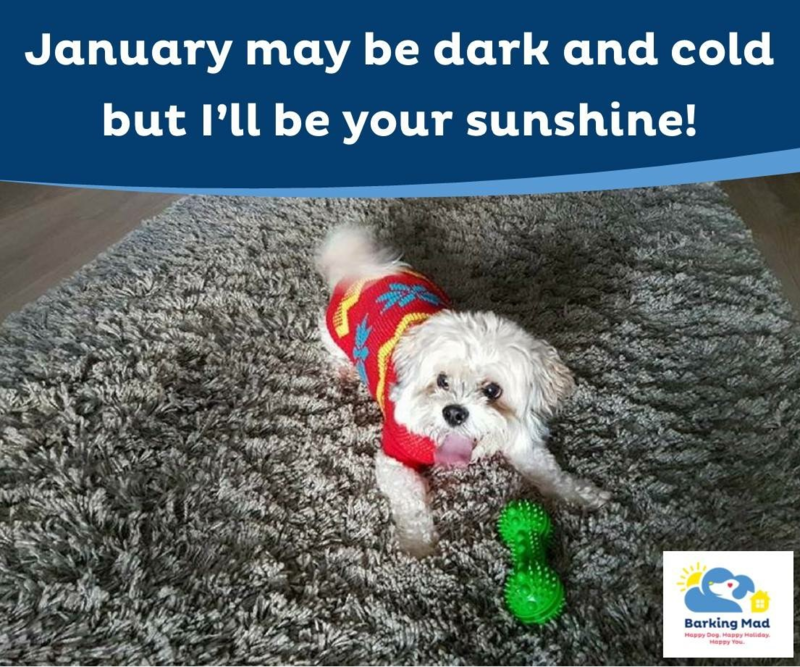 In the new year they will also be introducing an initiative to enable customers to make a voluntary donation of a pound, with every booking made with their dog home boarding service. Want to find out how you can share news about your organisation? Then visit our “join” page which details our listing and membership information or get in touch for a chat. Want to list your events on our FREE Events Calendar? Then complete your details on this form and submit them for us to publish.